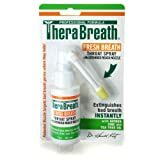 Doctor Harold Katz at the California Breath Clinics created TheraBreath, a revolutionary premium oral care system. 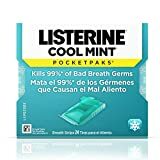 In 1994, their exclusive, original formula went on the market to help problems of bad breath, halitosis and unpleasant mouth taste. Since its launch hundred thousands of people are using it worldwide to solve these issues. 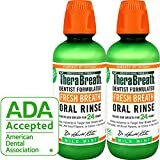 Till date TheraBreath original formula has gone under dozens of refinements, to make one most complete and effective solution to the embarrassing mouth problem of halitosis. Keep reading for the full TheraBreath AktivOxigen Serum Review. Concentrated AktivOxigen liquid formula helps get rid of the bad breath that comes from throat and tonsils. Just a few drops of this serum add a lot of power to any mouthwash or to the Hydro Floss. 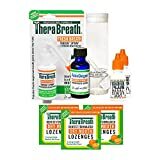 The truth is oxygen can help to eliminate the anaerobic bacteria that cause dental disease – cavities, gum disease and bad breath. But when these bacteria thrive in a low oxygen environment, oxygen can obstruct their ability to multiply rapidly. You can actually never completely remove these bacteria – but can be reduced or controlled. 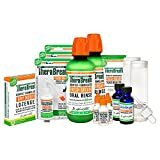 You can mix this highly concentrated, unflavored, oxygenating serum with water or fruit juice to produce a powerful, antibacterial, oxygenating oral rinse solution. 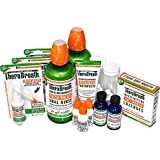 When used as directed, this solution is very effective at eliminating the bad breath germs in your throat and tonsils. Alternatively, you can also add a few drops to any oral irrigator or water flosser to increase its effectiveness. AktivOxigen liquid formula helps get rid of the bad breath that comes from throat and tonsils. AktivOxigen serum is so powerful that you should not put it directly in the mouth and use only the after diluting. it is 100% Natural with NO side-effects. AktivOxigen serum is so powerful that you should not put it directly in the mouth and use only the after diluting. The creator of this formula recommends using only 8 drops is sufficient in the Hydro Floss reservoir. One single bottle will offer approximately 60 uses. Why to Choose AktivOxigen Serum? This product contains unflavored active ClO2 in liquid form. For a maximum strength solution – You can use up to 16 drops. You can also add a few drops to our Oral Rinse formulas for more strength. You should never consume undiluted AktivOxigen Serum. Always dilute with water or fruit juice as directed. What People Are Saying About AktivOxigen Serum? 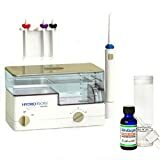 Cynthia bought this product for the treatment of tonsil stones on the recommendation of her doctor. A small tonsil stone that was beginning to form has gone after beginning to use. Now her breath is fresher and she is beyond pleased. She adds this product is much better than a surgical option for tonsil stones. Pauline says this is the only product that has helped her. If you are also struggling with bad breath, tonsils and want fresh clean mouth, then AktivOxigen Serum is the product for you.